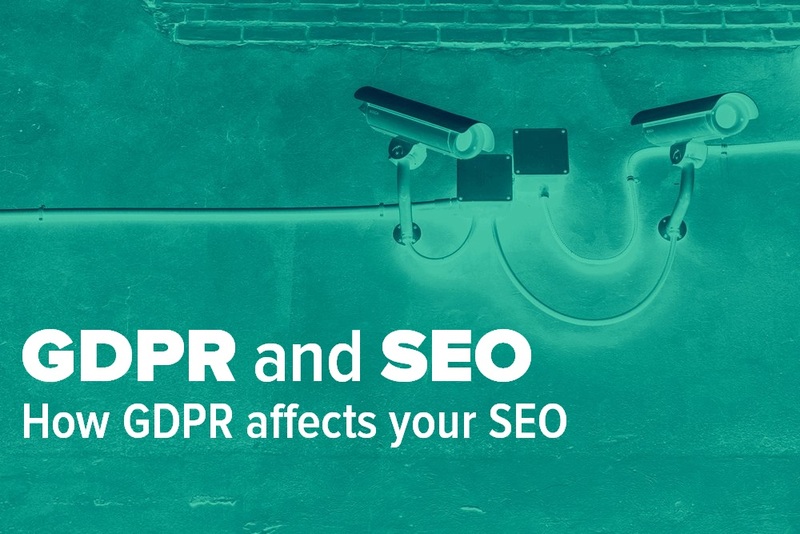 Home » SEO » GDPR and SEO – What does GDPR mean for SEO? So GDPR and SEO, hmmm isn’t it always the way, you get your site setup and you’re happy with your SEO and how everything is working and then you’re sent another curveball? Well GDPR is the latest curveball that you need to handle and it affects everyone who owns and runs a website. Before we get too far into GDPR and SEO and what it all means etc I just need to give you a short Disclaimer and point out that I am not a Privacy Law expert and that everything that I write in this article is just my thoughts, ideas and opinions and are in no way sound legal advice. I’m one of you guys looking for the answers and offering what I consider to be the best options. With that said here is my take on GDPR and SEO – What does GDPR mean for SEO? Way back in January 2012, the European Commission set out plans for data protection reform across the European Union in order to make Europe ‘fit for the digital age’. Almost four years later, an agreement was reached. One of the key components of the reforms was GDPR. The General Data Protection Regulation requires that webmasters gain their readers or users consent to collect cookies for an enhanced experience. You are required to collect usernames on comments made to blog posts. You also have to seek consent on your site contact form to gather the name and email address of anyone using the contact form. If you are a first-time visitor to Infobunny you would have already seen ours and had to opt-in to close it. You have spent years building your list. Now you are going to have to email your list and ask everyone to opt-in again to your list and give consent on all of the above. You are required to be GDPR compliant but if your Theme Developer is not compliant then neither are you. So how does GDPR affect SEO? Infobunny is a self-hosted WordPress site so let’s tackle all the questions from a WordPress point of view. GDPR does affect your SEO but the question is how? and what can you do to stop it having a negative impact on your site? To understand how GDPR affects SEO you must first understand search engine optimization. Chances are for your WordPress Site to become compliant with GDPR you’re going to need to install one or two new plugins that will help you. As we know plugins so your site down and a slow site is not a happy site. The load time and speed of your site have never been more important now that we have the Google Mobile First Index where Google now takes mobile results and shows those ahead of desktop results. If you have a slow mobile site then you are going to have a negative impact on your SEO. UX is also big news with Googles Mobile First Index. Your site needs to display correctly on all devices, desktop/laptops, mobile and tablets. Opt-in consent boxes and pop-ups are bad news for the user experience if they display badly. Yes, you now have to have them to be compliant but look for sensible user-friendly ways of displaying your GDPR consent boxes. The mobile UX is super important now for SEO. Now it is great that they are working to be GDPR compliant but let’s think about this for a second. Is it a good idea to redirect away from content that a visitor wants to see? Time on page is a big SEO ranking factor. The longer someone is on a page the better the signal to Google that this is quality content and the better your search results. If you are bouncing your visitors right out from a page they want to see then what is the message that you are sending Google? Should you nofollow links to your Privacy Page or Terms of Service? Well, I see no reason for making them nofollow. They will by default become valuable pages and Google wants to see them so it really doesn’t make any sense to me to apply the nofollow attribute. Linking to these pages should be seen as just part of your natural internal linking strategy. Look for smart ways to be compliant with the General Data Protection Regulation. WordPress Plugins are becoming compliant so before you rush off and install a number of new plugins to deal with your compliance first investigate what you already have installed and use on a daily bases. Askimet the comments spam prevention plugin has added an option to add a tracking notification to your contact form. What is Akismet and Why You Should Start Using it Right Away. I use a plugin call WPForms (no affiliation) for my contact form and guess what they now offer GDPR enhancements that add a checkbox notice about collecting their name and email. WP GDPR Compliance is a free WordPress plugin that basically covers all the bases. Add a GDPR checkbox that when activated will be added automatically just above the submit button. WP GDPR Compliance doesn’t currently support an EU Cookie Consent feature, but being from the Uk Infobunny has had a Cookie Consent Feature for a couple of years now already. Well, you should have because although they are often the most boring pages on a site Google still looks for them as a sign that your site is a professional credible option for them to show to people. Now there are going to be sections of the template that you don’t need and sections that you feel you will need to add, depending on what your site does. But the main point is really just to be as transparent as possible with what information you store, how you use it and how you protect it. Before you create your policy it might be a good idea to check other webmasters pages for inspiration. You can find mine linked above in this article and also in the menu at the top and linked in the footer. I am happy for you to borrow any sections you feel that you need, but do not just cut and paste. Rewrite what you read and put it into your own words. Cutting and pasting content will not help your sites SEO optimization. It is not beyond the realms of possibility that GDPR becomes a ranking factor for SEO within the Google SEO Algorithm. And we have seen Google pushing webmasters towards getting https Security Certificates. Who is to say that they won’t implement GDPR into SEO. It would make sense in my opinion. GDPR may seem like just an inconvenience but the reality is that this change is long overdue. 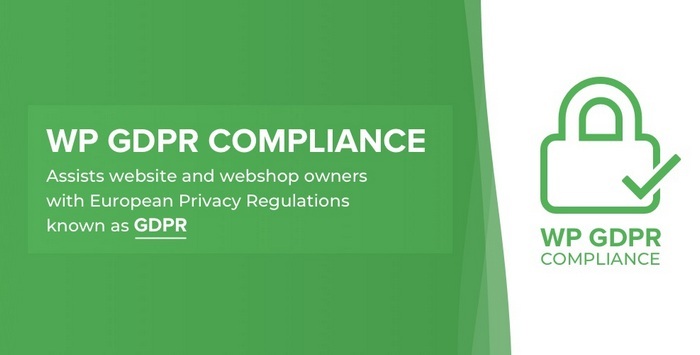 WordPress bloggers are quite lucky in that becoming compliant is a relatively easy task, you just have to be smart when it comes to GDPR and SEO. 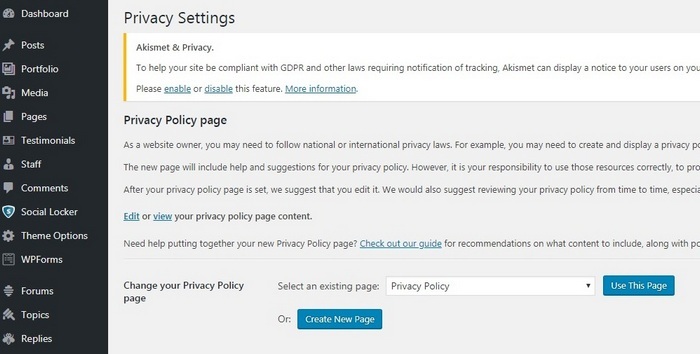 Offering an option for visitors to request their data could have been a big problem but WordPress stepped up and have given us a workable option within the latest update. What is important here is that you do take GDPR Compliance seriously and implement it in a way that doesn’t harm your SEO. The good news here is that it’s not just you dealing with this, every webmaster is and there could be a small SEO advantage over your rivals if you implement some smart solutions. Are you taking steps to make your site compliant? How do you see GDPR and SEO working together? Will GDPR become s SEO Ranking factor? So GDPR and SEO, hmmm isn't it always the way, you get your site setup and you're happy with your SEO and how everything is working and then you're sent another curveball? Well GDPR is the latest curveball to handle and it affects everyone who owns and runs a website. The biggest thing with GDPR now Dexter – which I hope changes over time – is diminished user experience. UX is suffering because more check boxes and little pop ups and sliders are slowly down load times and gumming up works. Or are slowing down things as far as reading content I want to read and use. I think that as folks settle in the experience will be more seamless. This is typical of any new change or law of course. It is not such a huge change for us over the pond as we have had the Cookie Law Compliance in place for a few years now. Yes UX is being hit by this, but we are all in the same boat, I think in the long run it will be a benefit. I’m pretty sure it will be a Google ranking factor at some point. There’s so much information out there, good and bad including people not sure the whole thing applies to them. I will be sharing your post because I think it would be so helpful. It really does apply to anyone with a self hosted site. This is as close as I’ve seen to an actual explanation of what to do! Well it is what I am doing but I am no expert. This is really something interesting to know about GDPR. 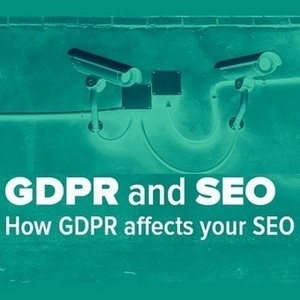 I wasn’t aware about GDPR & it’s relation with SEO but thanks for sharing this info with this great post. Yes there are now a few SEO considerations to think about with GDPR. You did explain, everything about GDPR understandable. And you give helpful informations as always. full of emails about this issue is upsetting. GDPR is making people burn their brains out. Just now, NOYB group has filed GDPR complaint against Facebook and some other websites. I think WP GDPR compliance is the must have thing for now. GDPR is aimed at those big sites who for to long have just been taking and using our data. First thanks for giving such an understandable explanation of GDPR. It’s the best I’ve seen yet! I do have it set up. I do think that Google will take it into consideration when it comes to SEO. After all, we do have to follow rules in order to make things tick! Yes we are in the same boat so all have the same GDPR headaches. Just be smart in solving the problems. GDPR is so difficult to understand and you explained it really well Dexter. I have talked with small bloggers who are very confused with this new GDPR update and what they had to do to cope up with this. One actually told me that he doesn’t need to have a Privacy disclosure because he’s not an ecommerce website nor taking sponsored content. Then you have to get consent when they comment to collect their email and name even though they are choosing to comment and you have to get consent to collect their info when they contact you so you can contact them back and the same with email lists. Its ticking boxes, almost all of which can be done with plugins so its no big deal. I’m in the UK and have had to have the cookie notice for the last few years so much of what was required I had already covered. How would these impact SEO and your Google search rankings? Well, Google doesn’t have any exception for the intrusive mobile interstitial penalty for GDPR requirements. You do not need to use an intrusive interstitial to notify your web site visitors about any GDPR changes to your site. As things have settled down and people are not running around panicking anymore it might be a good time to look at the impact of seo and gdpr things. I’m thinking that Google at one point will start enforcing it harder and without proper policies and things you’ll be demoted in SERPs. But as with many things with googles algo’s it’s all theory and speculations. That’s why the data and tests needs to be done. I agree but all good sites will have all the policy pages if they have any knowledge of SEO. but using the correct tactics and this is really amazing. I also share with my SEO team.